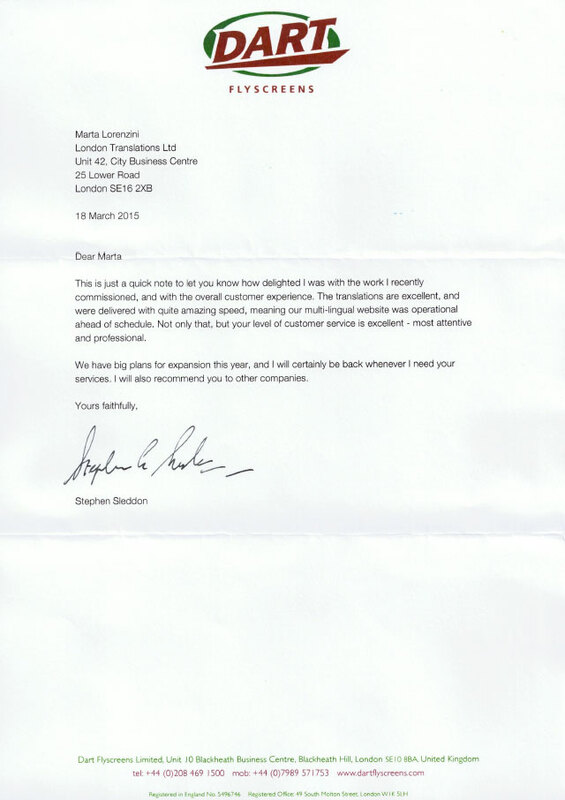 This is just a quick note to let you know how delighted I was with the work I recently commissioned, and with the overall customer experience. 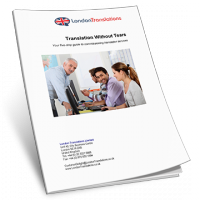 The translations are excellent, and were delivered with quite amazing speed, meaning our multi-lingual website was operational ahead of schedule. Not only that, but your level of customer service is excellent – most attentive and professional. We have big plans for expansion this year, and I will certainly be back whenever I need your services. I will also recommend you to other companies.